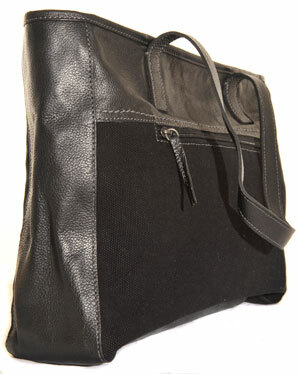 This bag is made in a black stonewashed canvas with full grain leather trim. 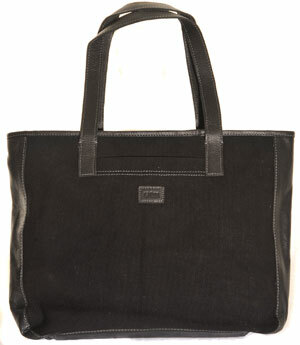 It has a feature dark grey contrast stitch detail with a heavy handstitch look detail across the front of each bag. 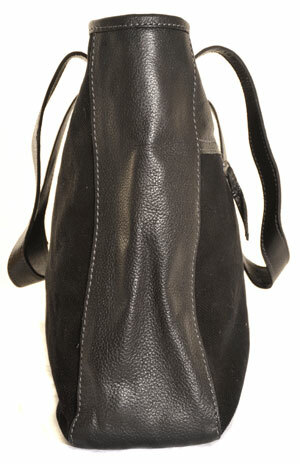 This style has an exterior zip pocket on the front and a useful slip pocket on the other side. 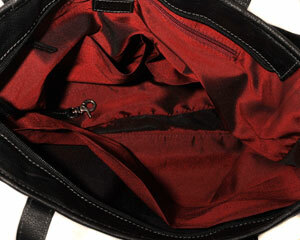 The bag closes with a zip top and interior details include a key clip, phone & purse pockets, a zip pocket and 2 large slip pockets in the deep red shot taffeta lining.